Next door to our modern church is Oxhey Chapel, by far the oldest building in South Oxhey. 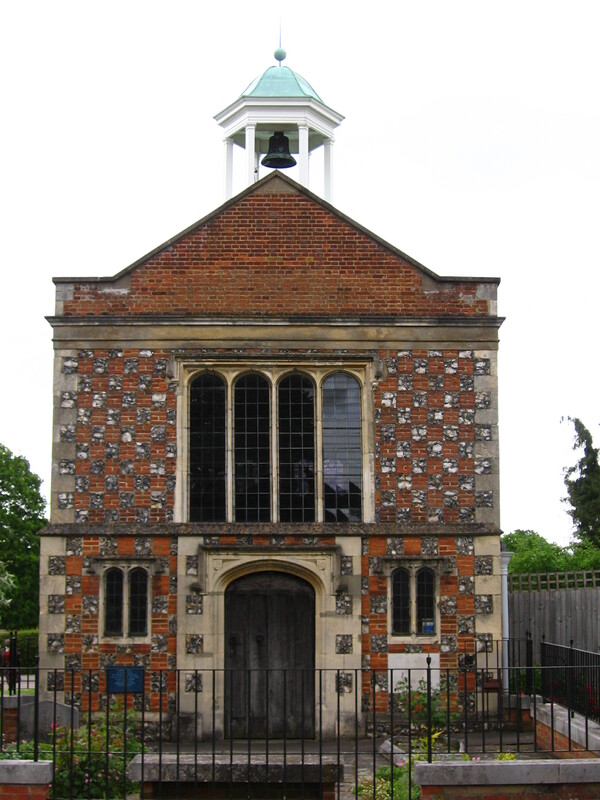 Oxhey Chapel was built on an early monastic site in 1612 by Sir James Altham as the chapel to his new home, Oxhey Place. The flint and brick building houses a superb font, reredos, west doorway, roof, communion rails, chancel paving and the Altham monument which are all 17th-century. The seating arrangement and other furnishings date from a restoration in 1897, but complement the earlier work, maintaining its Jacobean atmosphere. 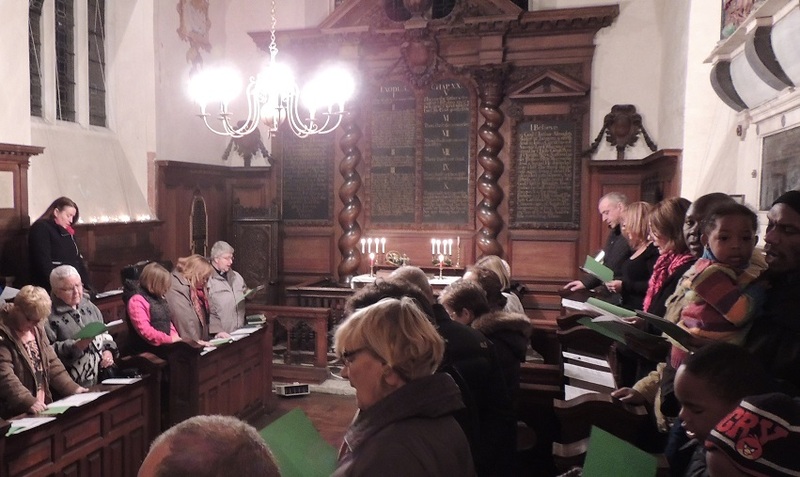 We occasionally use the chapel for services, including our annual carol service on the last Sunday before Christmas (weather permitting). Oxhey Chapel is maintained by The Churches Conservation Trust →.